The Webdev group at Mozilla–a group from all corners of the globe who are working with web technologies–met recently by the beach at Santa Cruz, CA. Besides syncing up on all our various projects (it was like an unconference) we decided the Open Web Apps projects needs, well, it needs apps! The game, the legend (source code). The app is played best with a friend! Brewer’s tool to help understand mash water formula. Try it out (source code). An HTML5 music player with an S3 backend to sync your music (source code). 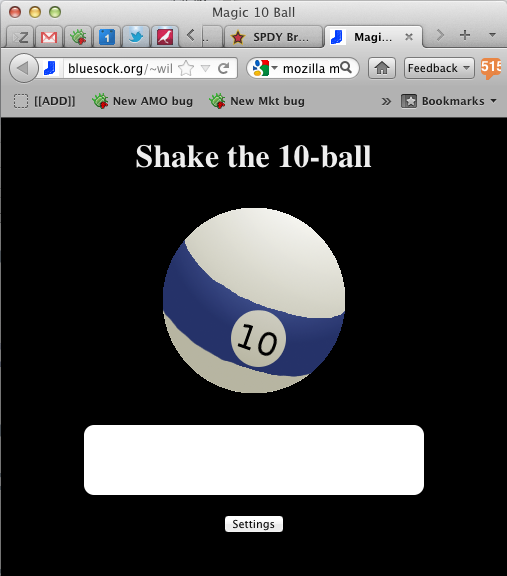 Magic 10-ball app to help people make critical decisions (source code). Early on in development, the app itself was used to decide what to build next for the app. An experiment in creating some UI components. Try it out (source code). Paid apps will need to verify the user’s receipt on their app server. This is a Python library to facilitate that. Here’s a live demo. An embeddable debug tool for apps (source code). An HTML5 experiment to make a color palette and drawing surface like Draw Something. 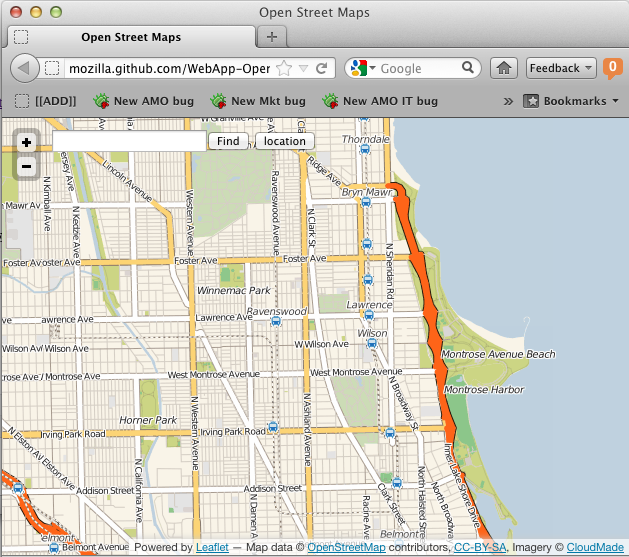 Use the app here (source code). Falling bubble things. Play it here (source code). An HTML5 Instagram clone. Try it out (source code). Another HTML5 Hipstergram clone, but faster and with moar css seckc (source code). A mash up of untappd and foursquare that helps thirsty people get unthirsty. Try it out (source code). Unit Calculator that converts to FFF scale (source code). A graphing calculator webapp (source code).